As house prices continue to rise there is concern amongst top liberal democrats that the property market is going to blow itself out and another crisis may ensue unless action is taken to curb house price inflation. Concern continues that the market is in the grip of a boom and that it is unsustainable. The Chancellors announcement in the Budget that pensioners are to have more freedom over their pensions may also have an impact on house prices as people get involved in the buy to let market. If i were about to retire I know that I would invest in a buy to let as opposed to an annuity. House price inflation is beating all predictions and are expected to pass their 2007 peak in the third quarter of 2014. They will then be above the pre-crash levels and look set to power ahead as the demand form more homes increases. 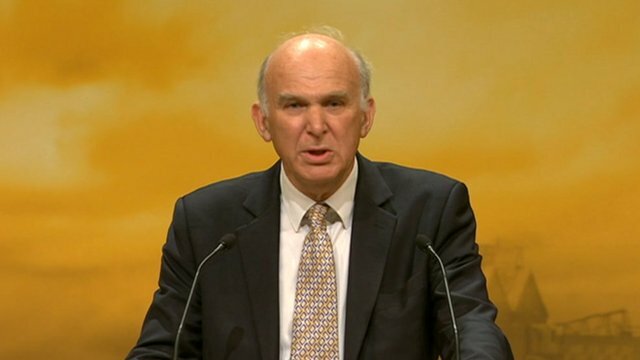 Vince Cable has repeatedly questioned the wisdom of the Help To Buy Scheme (HTB) because of the effect on house prices but his concerns have fallen on deaf ears. The government is happy that the property market is back on it’s feet again as this is going to get the economy growing again and it will not let anything stand it the way of that. The conservatives don’t like being in opposition and they will not relinquish power easily.